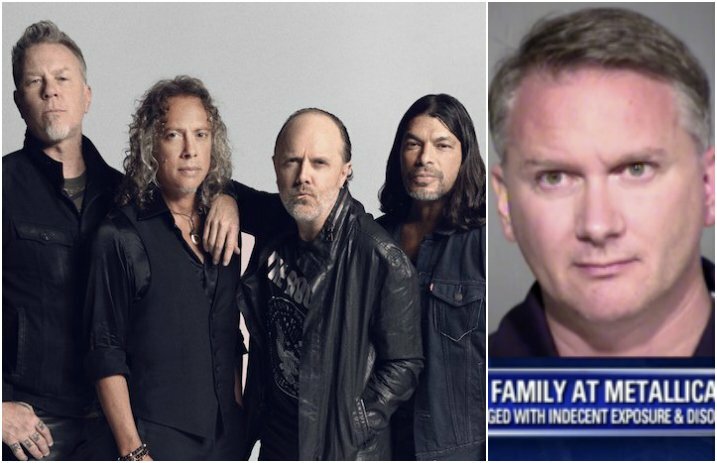 One family was in for quite the unpleasant surprise when, at the Metallica show in Phonix on Aug. 4, an intoxicated man ended up peeing on them. Hear what happened in a news broadcast below. According to Phoenix local news station Fox 10, Daniel Daddio was arrested after urinating on the family, with one of the members being only 10-years-old. The news source reports that the family recalled feeling “warm liquid washing over their back and legs,” and when they turned around, they saw Daddio peeing on them. The family reported the happenings to stadium employees, who then turned the case over to the Arizona Department of Public Safety. Daddio has since been released from jail and currently faces disorderly conduct and indecent exposure charges, the news source reports. “I have to say in the 15 years I've been on the bench, this is one of the most disgusting scenarios I've ever read… in any event, really inappropriate,” the judge said, Fox 10 has shared. Metallica are currently on tour with Avenged Sevenfold, Volbeat, Gojira and Mix Master Mike. How would you react to this situation? Let us know in the comments below.